Intercon Truck of Baltimore and Intercon Truck Equipment of Philadelphia both install and maintain the full line of Tommy Gate liftgates. 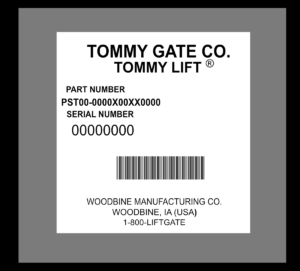 Our customers can order genuine Tommy Gate liftgate parts from our Joppa Maryland or Philadelphia Pennsylvania locations, or online at ITEParts.com. If you are having difficulty locating your Model Number or Serial Number, both can be found on a tag (shown on the right) located on the frame. When ordering parts, please include as much of the information asked for below as is available to you. If this information is not available, a complete written description, sketch or photograph of the required part will help to correctly identify and deliver the needed part to you. 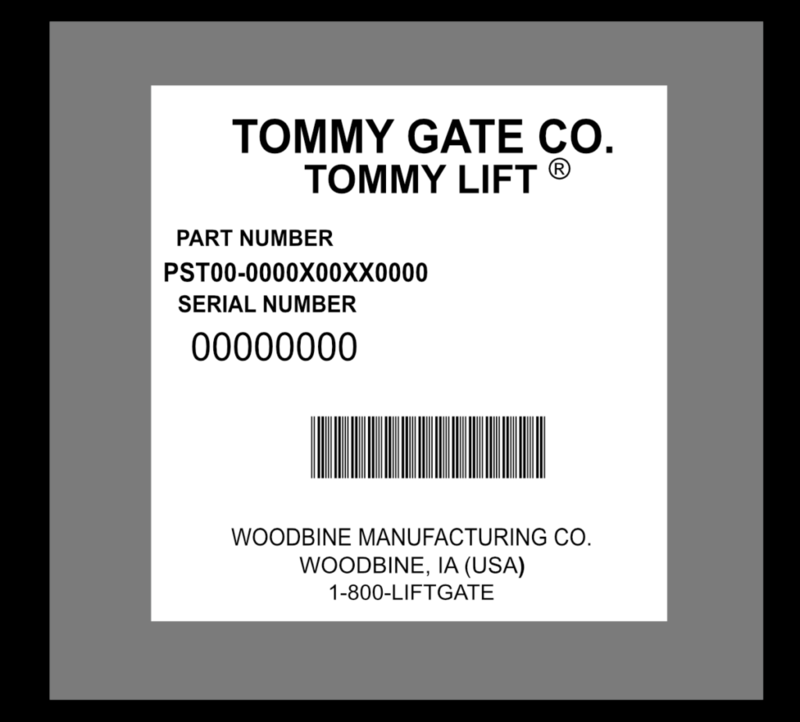 Once you have as much information about your Tommy Gate Liftgate as possible, contact us with any of the following options, and we will do our absolute best to get you the parts you need!